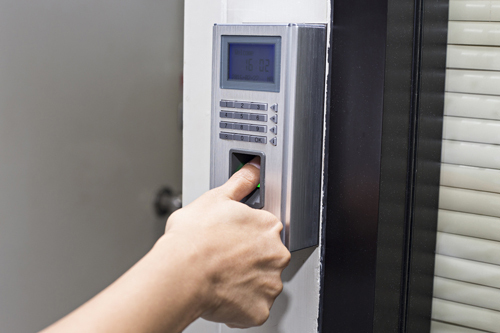 Upgrading your security system by including biometric door access and CCTV can deter crimes and allow you to monitor employees, clients, and customers. But how do the different biometric door access system work and what are their differences? Biometric means the measurement of a physical aspect or behavior as a type of identification system different from conventional methods of using passwords and identification numbers. 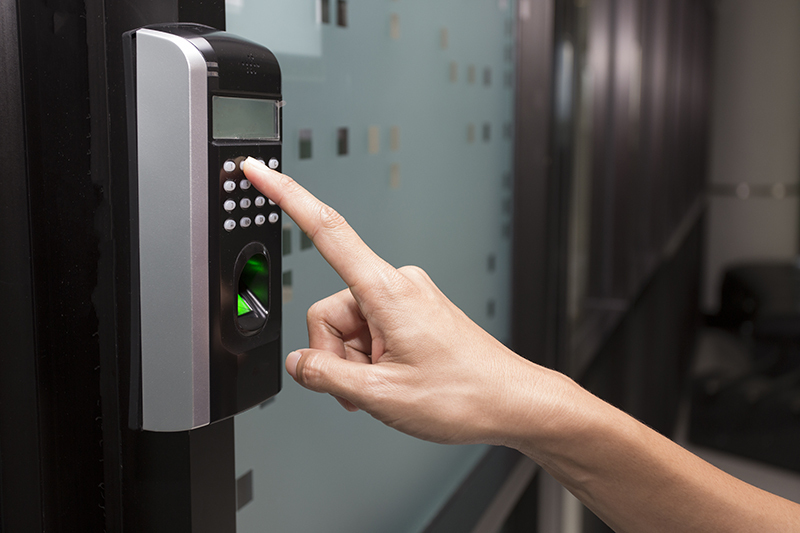 What makes the biometric door access system different from the card and pin access system is that authorized personnel will not lose or forget their identification number and smart cards. The system can also complement the building’s CCTV camera and intercom system. Facial biometric can work with the building’s existing CCTV camera, whether it’s analog or an IP camera, and intercom system for better security. A facial biometric will be able to identify a person by comparing and analyzing patterns in the facial features. The office camera scans the face and identifies the 80 nodal points, which are then used to produce measurements of the cheekbones, eye sockets, nose, jawline, and others. This data is then stored and will alter be used to scan faces using a security camera. What makes this type of biometric door access system better than biometric thumbprint is that the person dies not need to be close to the scanner for identification. The IP CCTV can scan faces in a crowd within a few seconds and identify unauthorized personnel. This can be done even without the people knowing they are being monitored on an IP camera in a Singapore office. Fingerprint recognition or biometric thumbprint takes an image of the fingerprint by recording and measuring the loops, arches, and whorls. The biometric thumbprint works on the idea that there are no two similar fingerprints among people. 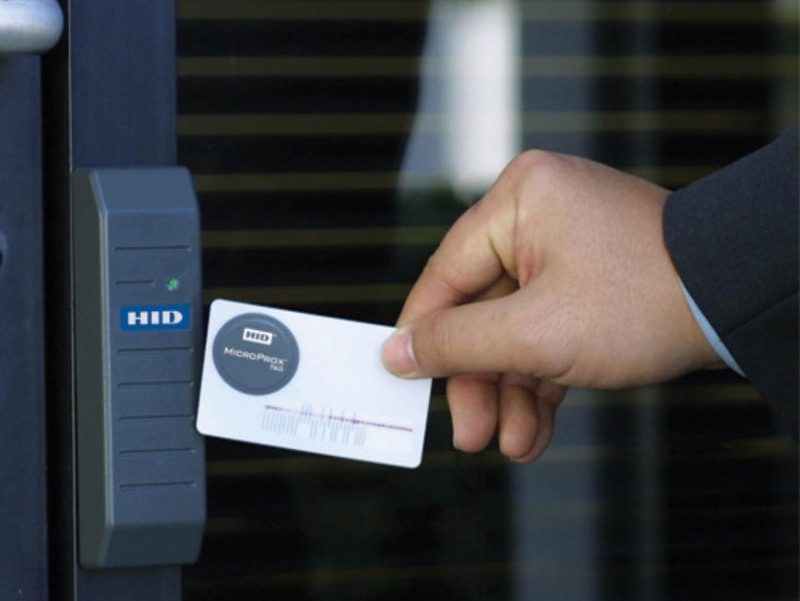 By recording the ridge, correlation, and minutiae, the biometric door access system creates a data unique to a specific person which can be in the form of an ID card with intercom hardware. This means that every time the person needs to be identified, an image sensor scans the fingerprint and compares it with the records for verification. Chances of errors is very few and the authorized personnel will not have to worry about forgetting or losing the identification. It is also difficult for impostors to bypass this type of security in Singapore. Another type of biometric door access system that is difficult to bypass is voice recognition. This technology scans the speech patterns by recording the frequency, cadence, inflection, and nasal tone. There are two types of voice recognition technology available for commercial and industrial buildings such as the text-dependent method and the fixed text method. A scanner records the voices, analyzes the patterns, and then stores the result in the database. Like the other methods, authentication requires stepping up to a scanner so that the database can compare the results. If you need higher security for your office in Singapore, iris recognition might be the best biometric method for you. A scanner analyzes the different regions of the eyes, specifically the pupils which have patterns unique to individuals, just like fingerprints. An iris scanner, however, might be too expensive an option. An alternative is the retina recognition method which analyzes the vein patterns in the back of the eyes.